 Chance Rides specializes in creating custom layouts to best utilize available terrain and provide a thrill factor appropriate for guest demographics. We offer formats for the beginning rider to the extreme thrill seeker. No matter the thrill you are seeking Chance Rides has the ride you need. We have elegant carousels, and more adrenaline pumping rides, like the Freestyle, or Unicoaster and classics like the Zipper, the Yoyo or the Pharaoh’s Fury. And don’t forget the variety of experiences we can offer with our assortment of Ferris wheels. Ensuring an enjoyable guest experience is key for repeat visits. The Chance Rides people movers can help you get guests to your venue, add to their enjoyment of the venue or serve as an attraction of their own. 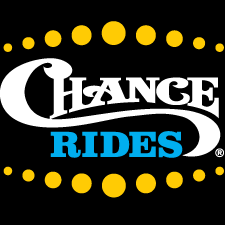 Chance Rides has been manufacturing a diverse product offering of trains, amusement park rides, trams and roller coasters for over 56 years, with continued family ownership. Our nearly 20 acre site with 310,000 sq. ft under roof is located in the heart of America, in Wichita, KS. Chance Rides employs a dedicated veteran team of skilled workers. Our products serve customers that include large theme parks (Six Flags, Universal Studios, SeaWorld, etc. ), small to medium sized amusement parks, FECs, zoos and aquariums, and stand-alone attraction venues. We have manufactured, delivered and installed over 5,000 amusement rides, coasters and people movers, that have exceeded our customers’ requirements and expectations. Arnolds Park Amusement Park announced Monday the addition of a new ride this summer. Officials said two donors have donated a new 36 foot 2018 carousel to the amusement park. The new ride will be eight feet larger than the current carousel and it will be housed in a gazebo that can be closed in the winter to protect the ride from the elements. “The staff and amusement park board are very excited about the addition of this new ride,” said CEO Jeff Vierkant. Want to know when we have news on our latest ride?